From the start, the Lean movement has focused on tools and methods that were unpacked from kaizen. This was an enormous mistake – a major strategic error – that continues to this today. It’s time to refocus on kaizen. 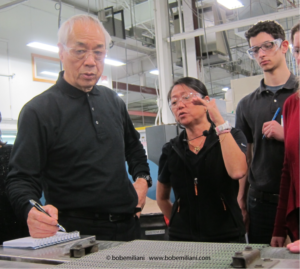 Lean tools and methods must be used within the context of kaizen. Why? Because kaizen is how you learn Lean management. Kaizen is how you learn to lead a Lean transformation. Kaizen is how you develop people. Kaizen is how you achieve significant business results quickly. The organizations that have had the most success with Lean are those who are committed to kaizen. Your strategy is simple: Kaizen, which means to simultaneously improving all dimensions of the work. You must quickly move away from what you have been doing, called kairyo in Japanese, which is improvement in one dimension such as reducing the number of steps in a process. It only leads to failure. Kaizen is the essential ingredient. Without it, you’ve got nothing more than the appearance of improvement. That’s why it is important to understand and correctly practice kaizen; Toyota-style, industrial engineering-based kaizen. That is the only way to obtain achieve material and information flow, and the associated low costs, high productivity, high quality, and short-lead times. These blog posts will help you better understand kaizen and hopefully motivate you to want to practice kaizen. Shingijutsu-Kaizen: The Art of Discovery and Learning and Kaizen Forever: Teachings of Chihiro Nakao contain lively and detailed descriptions of the kaizen mindset and method. Toyota Kaizen Methods: Six Steps to Improvement and Kaizen Express: Fundamentals for Your Lean Journey provide important complimentary but less lively descriptions of kaizen. Better Thinking, Better Results: Case Study and Analysis of an Enterprise-Wide Lean Transformation shows the financial and non-financial results that Toyota-style, industrial engineering-based kaizen can achieve. The Lean Turnaround: How Business Leaders Use Lean Principles to Create Value and Transform Their Company and Transforming Health Care: Virginia Mason Medical Center’s Pursuit of the Perfect Patient Experience explain why the foundation of Lean management is kaizen. Thanks for the great list of resources. I continue to be frustrated by how much energy organizations put into projects and tools for project management and how little they focus on fostering a culture of continuous improvement. As you say, lean tools and methods without kaizen is a big mistake as you miss the cultural values and objectives that these tools need to be grounded in. You’re welcome. You are not alone in your frustration.